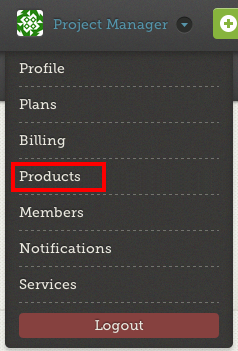 Once in the Products menu, you may begin creating, editing, archiving or deleting your products. 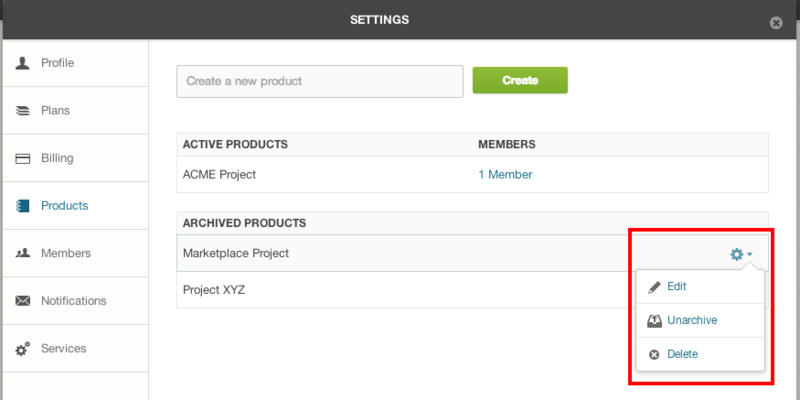 Once a product has been created, you have the additional options to edit the product name, archive the product or delete the product. Edit allows you to rename the product. Delete removes the product and all of its data from Sprintly. Sprintly currently allows only one owner per account. If you need to transfer ownership of your account, please contact us at support@sprint.ly with the new account owner email address and the product IDs you would like transferred. We would be more than happy to assist.